Izzy and Capt Aaron on the bow w/a nice yellowtail. The early birds ready to check in! 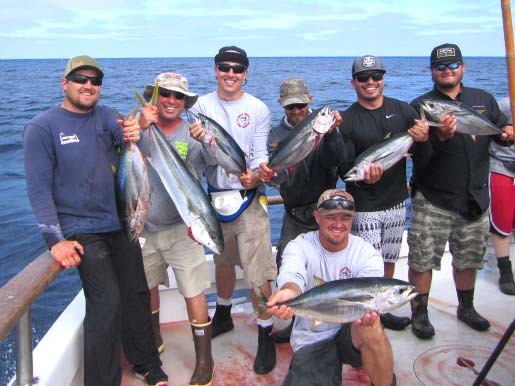 Winner, winner, winner, yellowtail dinner!